For real mountain bike performance, the Bolt and Thumper are bang on! 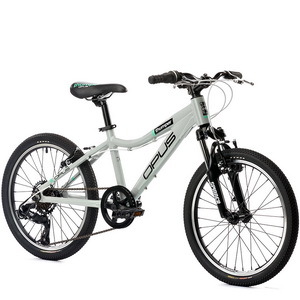 Their aluminum frames and quality components will satisfy every kid’s taste for dirt. With their 50mm of travel — more than most! — the spinner forks offer real damping performance. Plus, their stable geometry ensures these bikes are easy and safe to ride. Even the cranks and saddles are sized specifically for 20” bikes, so you know the fit is as good as the ride.